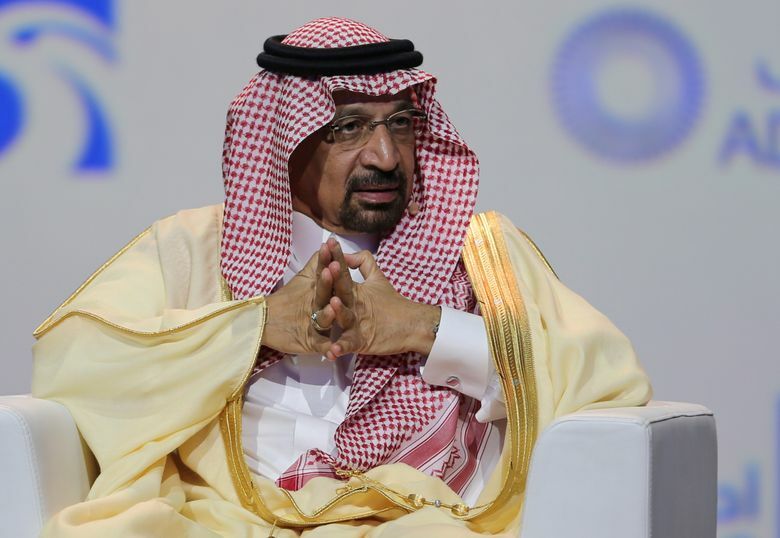 ABU DHABI, United Arab Emirates (AP) — Saudi Arabia’s energy minister said Sunday that major oil producers need to do better to narrow swings in prices that dip below $60 a barrel and rise above $86. “I think what we need to do is narrow the range … of volatility,” Khalid al-Falih said. “We need to do better and the more producers that work with us, the better we’re able” to do so, he told the Atlantic Council’s Global Energy Forum in Abu Dhabi. “I think early signs this year are positive,” he said. Last week, Saudi Arabia announced it has 268.5 billion barrels of proven crude oil reserves, a figure 2.2 billion barrels higher than previously known. The kingdom’s Energy Ministry also revised upward the country’s gas reserves by around 10 percent, to 325.1 trillion standard cubic feet as of the end of 2017. The kingdom’s oil reserves are among the cheapest in the world to recover at around $4 per barrel.